We are still on a new window high! 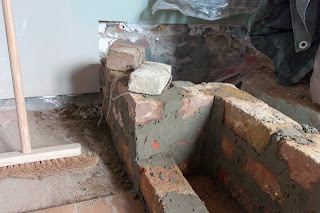 but new work has started in the kitchen-dining room. The dining room will be raised on a platform at the back of the room, due to the structure of the building and the incline of the terrain. It used to be a shed, divided from the rest of the structure by a wall, and higher up. 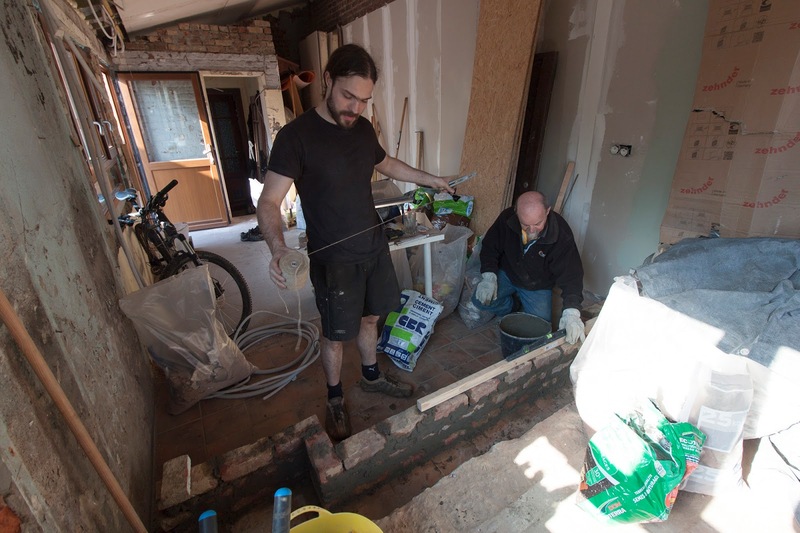 All those walls are now gone but the raise remains, when everything is levelled up nicely, the difference will be 30 cm so we need two steps leading up from the kitchen. Pim's dad started building the steps with recycled bricks, I thought he went incredibly fast! 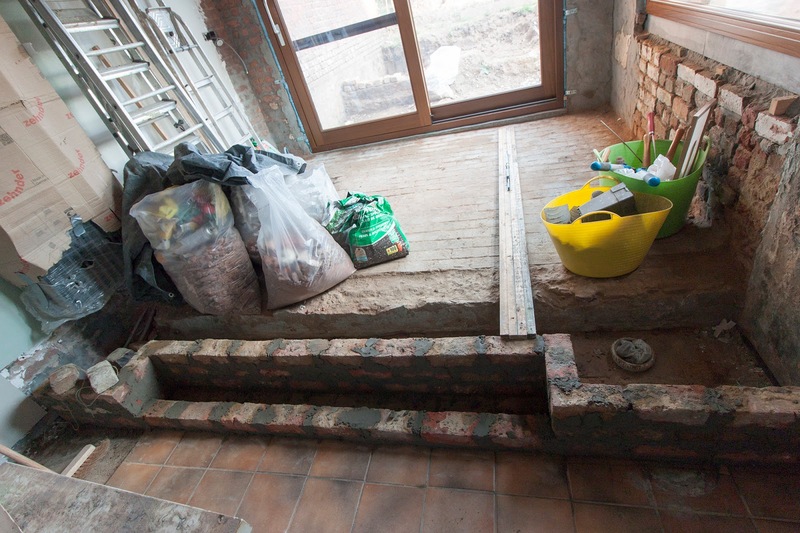 The gaps will be filled with cement and rubble (boy don't we have rubble), and then the floor evened out with a runny cement mix. Then tiles, but not before the walls and their corresponding mess are done. Pim has still been digging the terrace outside, and I could barely move due to my sciatica flaring up, but managed to shuffle around some pots and seeds now that spring is here.